More than 16,300 seniors in Southwest Florida are receiving letters from the Social Security Administration about Medicare Savings Programs. The Area Agency on Aging for Southwest Florida's SHINE program can assist with eligibility and applications. NORTH FORT MYERS, Fla. - June 22, 2018 - PRLog -- More than 2 million older Americans are receiving letters from the Social Security Administration about programs that could help pay their health care expenses. 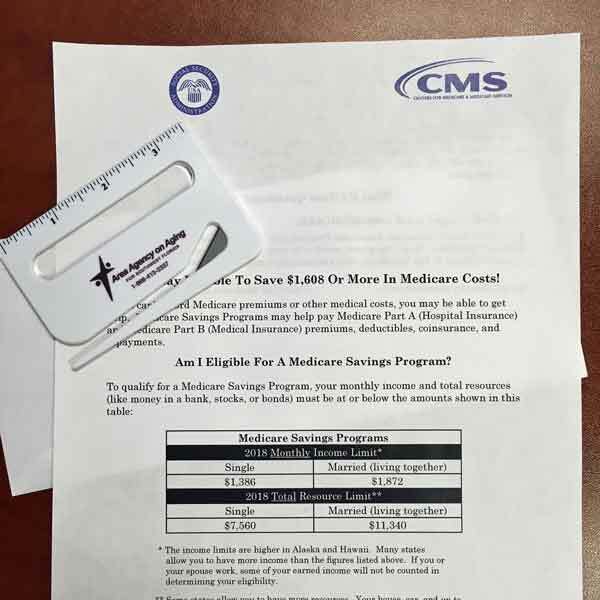 Recipients of these letters are likely eligible for Extra Help, a low-income subsidy program for Medicare Part D prescription benefits, or other Medicare Savings Programs. "About 12 million people nationwide use one of these programs to help cover the costs of medications, copays, deductibles, and Medicare premiums," explains Camilita Aldridge, SHINE Liaison with AAASWFL. "More than 16,300 people in the Southwest Florida region will receive these letters. If you found one of these letters in your mailbox, SHINE may be able to help you save hundreds or even thousands of dollars on your health care. With healthcare costs continuing to rise, these programs can be a lifeline for older adults with limited incomes." AAASWFL provides SHINE counseling services at locations across Southwest Florida. To make an appointment with a SHINE counselor, call AAASWFL's toll-free Elder Helpline at 1-866-413-5337. A list of counseling sites can also be found on the SHINE website: http://www.floridashine.org. The Area Agency on Aging for Southwest Florida is a nonprofit organization serving Charlotte, Collier, DeSoto, Glades, Hendry, Lee, and Sarasota Counties. AAASWFL is the state's designated Aging and Disability Resource Center for Southwest Florida. The organization is committed to helping adults ages 60 and over and people with disabilities to live with independence and dignity in their own homes and communities. More information is available at http://www.aaaswfl.org or by calling the toll-free Helpline at 866-413-5337 (866-41-ELDER).